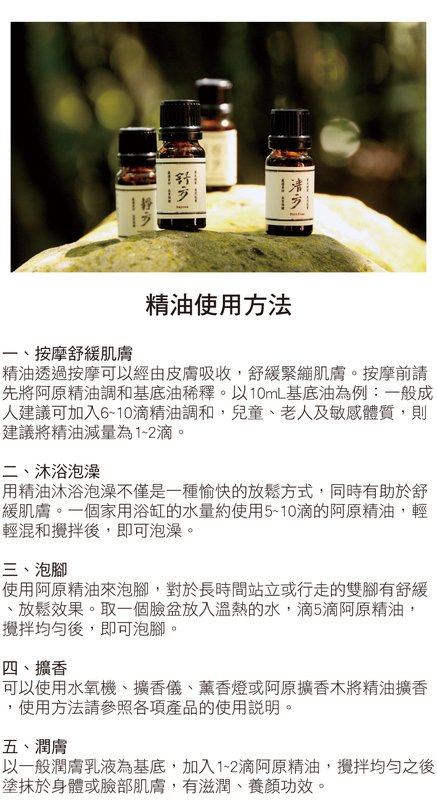 This oil blend is suitable to promote better sleep quality, and help achieve body and mind equilibrium. 2. Diffuse 20 minutes to an hour before children's bedtime to help them to get ready for bed. 3. For those with difficulty to relax or easily with anxiety. 4. 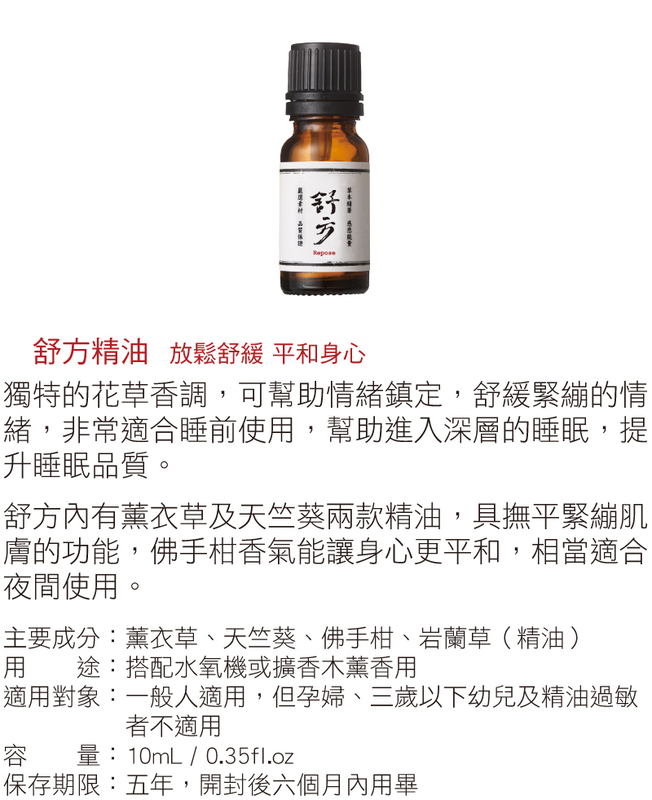 Helps relief headache or migraine, blending it with any carrier oil and massage to your temple, shoulder and body. Ingredients: Lavandula Abgustifolia (Lavender)Oil, Pelargonium Graveolens (Geranium) Oil, Citrus Aurantium Bergamia (Bergamot) Peel Oil, Vertiveria Zizanoides (Vertiver) Root Oil. 1-3 drops of essential oil on towel or handkerchief for sniffing or keep it in your hand bag as natural fragrance which you can inhale or smell when you are out. 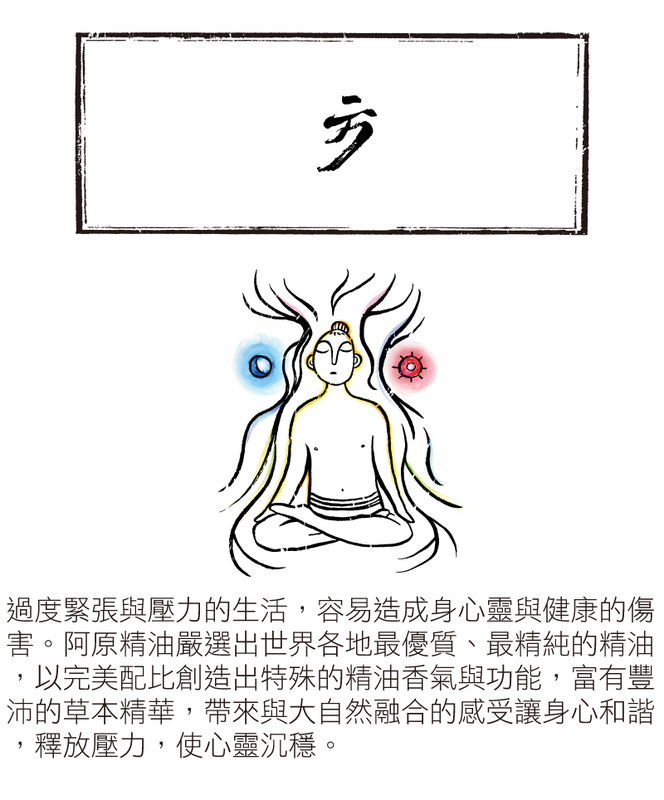 Drops 2-5 drops on your incense when you light it, especially suitable for meditation and to help clear foul air. Storage method: Store in cool place, avoid direct sunlight. Keep away from heat and electrical items. Pregnant women and children less than three years old should avoid using essential oils. Stop using or seek medical advice should you feel unwell after using it.